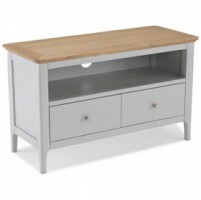 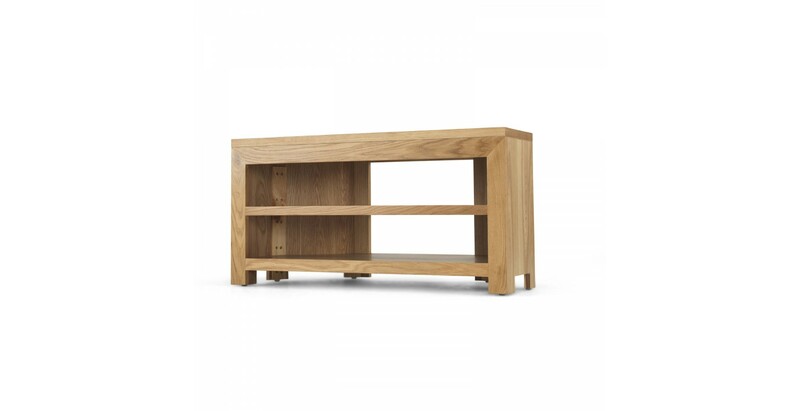 If you don’t want your TV to dominate the living room, this widescreen corner TV stand maximises precious floor space and houses your media device. 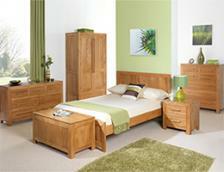 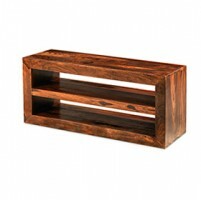 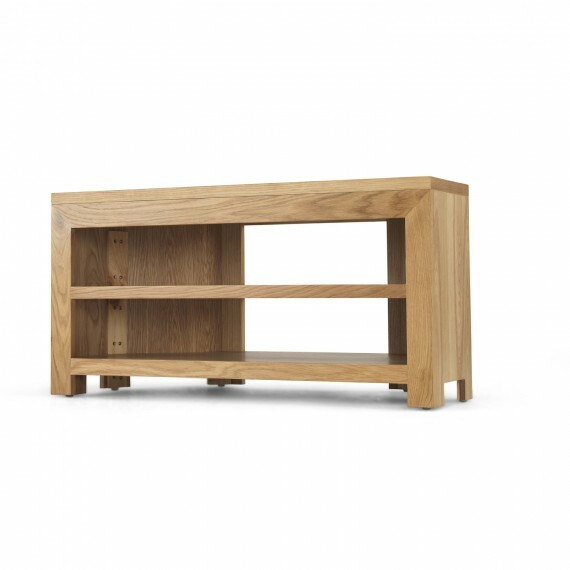 Discreetly hide away cables from your DVD player and digital receiver through the open back on the two open shelves. 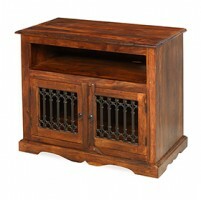 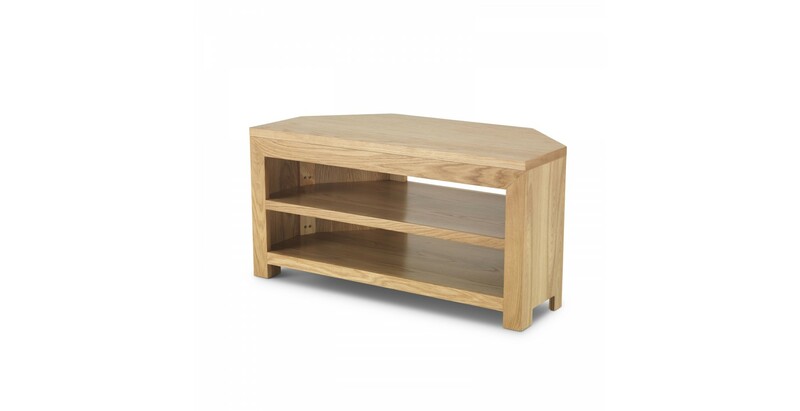 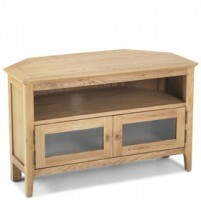 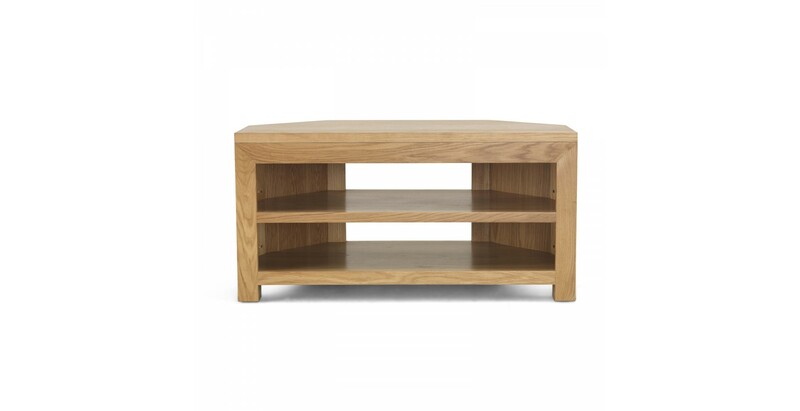 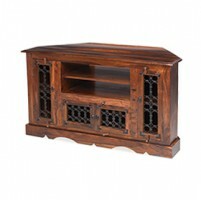 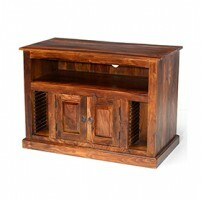 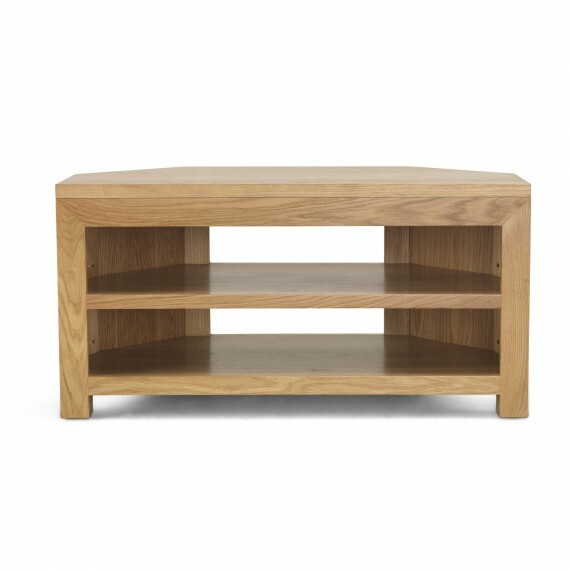 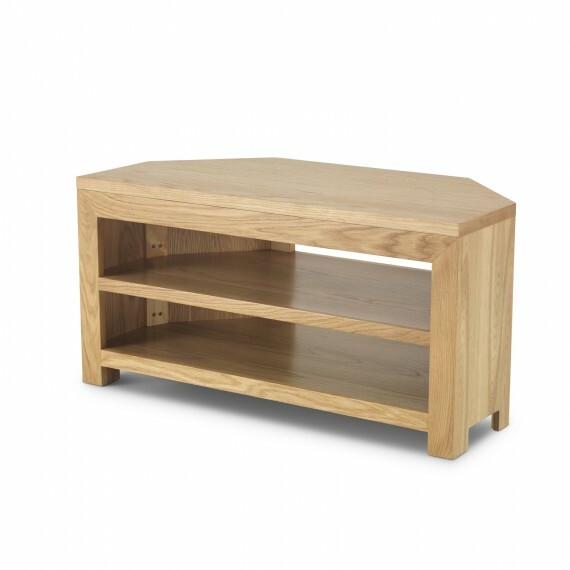 Constructed from Cuba Oak and finished off with a matt lacquer finish that enhances the grained patterns, this corner TV Unit will be the perfect piece for your living room.